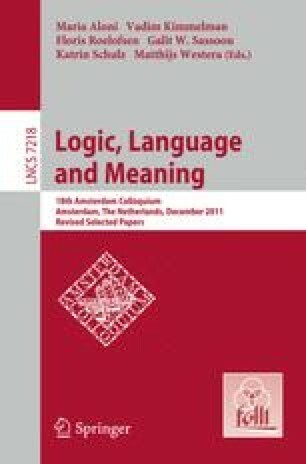 This paper develops a type of dynamic semantics in which contexts include not only information, but also questions, whose answers are ranked by strength. The questions can be local to the restrictor of a quantifier, and the quantifier can bind into them. The proposed framework satisfies several desiderata arising from quantificational expressions involving exclusives (e.g. only, just, mere and sole), allowing: (i) presupposed questions; (ii) presuppositional constraints on the strength ranking over the answers to the question under discussion; (iii) quantificational binding into such presupposed questions; and (iv) compositional derivation of logical forms for sentences. We would especially like to thank Robin Cooper and Jeroen Groenendijk for feedback, and we gratefully acknowlege financial support fthrough NSF grant BCS-0952862 Semantics and Pragmatics of Projective Meaning across Languages, NSF BCS-0904913, DoD HHM402-10-C-0100, and the NYCT TeXIT project.